In a career spanning over 30 years, Les Nemethy has been involved in the sale or raising capital for hundreds of businesses, large and small, in more than 40 countries. He is the founder and CEO of Euro-Phoenix Financial Advisors Ltd www.europhoenix.com a leading corporate finance boutique focused on cross-border M&A for mid-sized companies. He specializes in helping owners of mid-sized enterprises raise capital or sell minority or majority interests in their companies. Mr. Nemethy has distilled decades of experience into this very readable book, aimed at assisting business owners first to plan for their business exit, and then to manage the exit process (the word “exit” is broadly construed, to include over a dozen options, from passing a company to the next generation to Initial Public Offering). Mr. Nemethy has seen the process of buying and selling companies from just about every perspective – buyer, seller, financial advisor, lawyer, and banker. After obtaining degrees in economics, law, international relations and business administration from leading Canadian universities, Mr. Nemethy worked with a major Canadian law firm, McMillan LLP, and was called to the Ontario Bar in 1984. He then worked for the Canadian investment bank, McLeod Young Weir (today ScotiaMcLeod). His career took an eclectic turn in early 1992, when he was named head of the Transactions Department of the Hungarian Privatization Agency. Leading a team of 150 professional staff, Mr. Nemethy contributed to the ramping up of the privatization program, with over 6000 companies sold during his tenure. He led the privatization of the telecom incumbent, of gas distribution companies, and numerous breweries, hotels, cement companies, etc. He also led a number of Initial Public Offerings (IPOs) on the Budapest Stock Exchange. 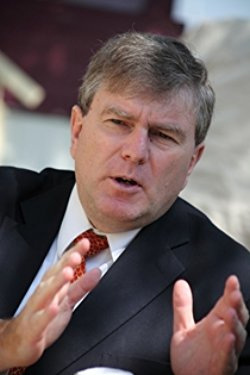 Mr. Nemethy moved from Hungary to Washington DC in July 1993, where he worked with the World Bank, helping governments in 23 countries privatize companies and attract investment. For example, he helped the Kuwait Investment Authority devise a program to sell approximately US $6 billion of assets on the Kuwait Stock Exchange, he advised the governments of Cote d’Ivoire, Sri Lanka, and Albania on managing their national privatization programs. Currently based in Budapest, Hungary, Mr. Nemethy lectures frequently and has taught courses in universities from Georgetown University to the Central European University, mostly on the subjects of business exit planning and international negotiations. He is a former President of the American Chamber of Commerce in Budapest. He has been frequently quoted by the media, including CNN, The Economist and The Financial Times.